A USC psychology researcher delves into the surprising ways your subconscious mind affects your actions. NORBERT SCHWARZ might know you better than you know yourself—even though you probably don’t know him at all. The USC psychologist probes the utility and faults of human instincts, conscious and subconscious. His 30 years of studies into social cognition—how people think about the social world—give insight into unexpected quirks of human behavior. Who would have thought that smelling something fishy makes people not only suspicious, but also sharper thinkers? Through his research, Schwarz confirmed that—and other ways that your senses and feelings affect your actions. 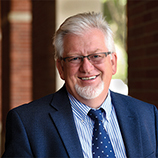 Schwarz, Provost Professor of Psychology and Marketing at the USC Marshall School of Business and the USC Dornsife College of Letters, Arts and Sciences, is co-director of the USC Dornsife Mind and Society Center. He talks with USC writer Emily Gersema about some of the traits that make us uniquely human. It sheds light on how little things can make a large difference in what we think and do. Little things that impact your mood, from finding a dime in the street to whether your sports team wins or loses, can influence how you see the world in unrelated domains. People who are temporarily in a good mood are more satisfied with their lives as a whole, more optimistic about the future, more pleased with how the economy is doing and more helpful to others. And you can get all of that for a dime—well, more correctly, the good mood it elicits. Even the stock market is more likely to go up on a sunny day than a rainy day in the financial center, most likely reflecting the influence of the weather on optimism about the future. Do you ever worry that your research will be used for manipulative purposes? Yes, I do worry. Of course, that’s true for most areas of research—the unknown genius who improved our lives by inventing the wheel also set the stage for millennia of road kill. 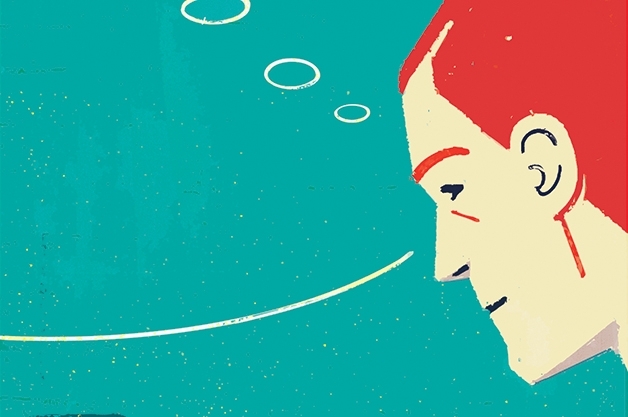 In behavioral science research, the best you can usually do is to make the insights available to all. A recent investigation of the influence of hunger on consumer behavior, with Alison Xu of the University of Minnesota Twin Cities and Bob Wyer of the Chinese University of Hong Kong, is a good example. Earlier research had shown that hungry shoppers buy more food than they intend to at the supermarket. We wondered how far that influence goes. If being hungry puts “getting food” on your mind, would that also increase the likelihood that you get other things? This led to a series of laboratory and department store studies that showed that hunger also increases non-food purchases, including the purchase of binder clips, which aren’t known to make for a good meal. For stores this means that it is a good idea to attract hungry consumers; for consumers it suggests that they’re better off having a snack before they shop. What’s your favorite part of conducting a study? For me, the most fun part is translating the theoretical idea into an involving experiment. It’s a bit like writing a play: devising a social situation in which stuff—sometimes weird—happens in a way that allows you to shed light on something unknown. It’s fun to dream up the procedures and nicely challenging to do it in a way that really tells you something about the underlying processes. Have any studies surprised you? We looked at the psychological consequences of physical cleansing. Expressions like, “I wash my hands of this” or “wiping the slate clean” suggest an underlying model of contamination. We initially thought that this is driven by the motivation to get rid of bad traces of the past, and there was plenty of support for that. We also found that people want to wipe the slate clean after bad things happen, but do not want to do so after good things happen. In one study, we had people play a game of luck with money. Some people had a winning streak and some a losing streak. At the end, all had the opportunity to play one more round, but before that, we asked them to help us with a product test by either rating the look of soap, or by washing their hands and rating its quality. The results were stunning. When they merely rated the product’s appearance, those who had experienced a losing streak bet less of their money than those who had a winning streak. But if they had actually washed their hands, the impact of their previous good or bad luck was completely eliminated. Needless to say, people have little insight into this—most would loudly deny that anything that silly can influence them. But we act as if countless things we experience in life leave traces on our skin, which we can wipe off just as we wipe off physical contaminants. For this reason, physical cleansings can help us to distance ourselves from past events. In recent studies, you’ve focused on exploring metaphors and their relationship to our basic processes. Can you give some examples? Metaphors have traditionally been thought of as stuff for poets and playwrights: unusual and imaginative uses of language. That changed through the work of George Lakoff and Mark Johnson, a linguist and a philosopher, who showed that daily language is full of metaphors. We talk about “dirty” thoughts, “warm” people, “weighty” arguments and so on. Such expressions suggest that we think about many immaterial things in terms of more concrete things, with which we have sensory experience. Many psychologists were intrigued by this and wondered if the metaphorical links we see in language have real consequences in how people think and behave. They do! And that turned into a very active area of research that is now often referred to as embodied cognition. It studies how sensory experiences influence how we think, feel, and behave. What are some of the basic processes that are tied to those metaphors? A good example is the connection between suspicion and smell. In all languages studied, suspicion is associated with smell—something doesn’t “smell right.” So we wondered if this has real consequences: Does the metaphorical smell-suspicion link influence what people think and do? In studies with a former student, Spike W. S. Lee, who is now an assistant professor at the University of Toronto, we had participants play interpersonal trust games and public-good games from economic research. We exposed some of the participants to a fishy smell by spraying the area with a little fish oil. Others were exposed to bad smell that lacks a metaphorical meaning. We accomplished this with a product called “fart spray,” which smells exactly as its name suggests. For a third group there was no particular smell. The results were eye-opening. Those exposed to fishy smells contributed less in public-good games because they did not trust others to do their share in contributing to the common good. They also invested less in trust games because they did not trust their partner to reciprocate and share fairly with them. An incidental fishy smell was enough to elicit suspicion and the cautious behavior that goes with it. Later studies, with my students David Lee and Eunjung Kim, also showed that the suspicion elicited by incidental fishy smells makes it more likely that you notice misleading information in messages others present to you. More surprising, it also makes you more critical in evaluating your own thoughts, resulting in better performance on problem solving tasks. You’re suspicious after all—something feels wrong and you better pay close attention to find out what exactly is wrong. Photo courtesy of Enrique Martinez Celaya	Go Fish! 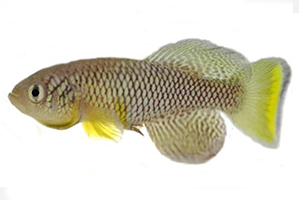 The killifish are coming to USC, and they might just have the answers to holding back aging. 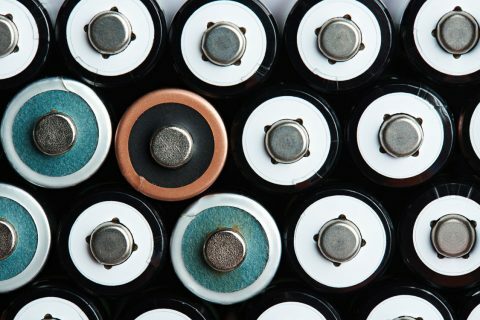 As the world’s energy demands grow, batteries could be key to storing sustainable energy.